Mount Kilimanjaro is one of the most iconic mountains in the world. 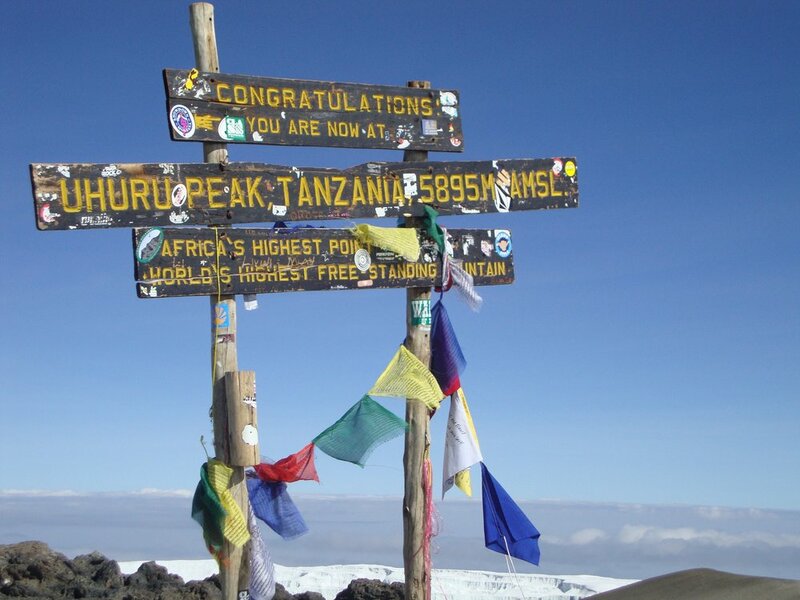 Standing at 19,341 feet, it’s Africa’s highest peak and one of the Seven Summits. Climbing Mount Kilimanjaro is something countless people dream about, and while the climb is both physically and mentally exhausting, anyone can achieve this feat with hard work, commitment, and determination. To accomplish what’s sure to be one of the most fulfilling experiences of your life, preparation is key. Keep reading to find out what to pack and how to prepare for your journey to Mount Kilimanjaro. One of the most important things to consider is which route is best for you. With 7 climbing routes, there is something for everyone—each route differs in difficulty, price, and scenery. Marangu is one of the most popular and offers hut accommodations, Rongai is considered the easiest, and Umbwe is the most challenging. Do some in-depth research on each route before making your decision. For more details on the Marangu Route (our favorite route), read our in-depth Kilimanjaro Marangu Route Itinerary. Although no special skill is required to climb Kilimanjaro, there’s a certain level of fitness you need. In the time leading up to your expedition, increase your activity. Walking, running, and cycling are all good ways to improve your fitness and prepare for the trek. It’s also important to check if there are any recommended or required vaccinations you need before leaving the country. To climb Kilimanjaro, you must be accompanied by a registered guide. You can find a company operating out of Tanzania or the United States, such as Acanela Expeditions. Prices vary, and in addition to the guided hike often include porters, meals, and group gear. It’ll be important to contact your chosen guide company to learn the specific details and what gear they’ll be providing. The most popular climbing seasons are December-March and June-October, but no matter when you set off on your trek, you’ll find a wide range of weather. While traveling from base to summit, you’ll come across diverse climates, from verdant rainforest to arid desert to the Arctic zone nearing the summit. It’s vital to keep these changes in mind when packing; layers are essential to ensure you’re prepared for every environment you’ll hike through. Once all the details are settled and your departure is approaching, it’s time to figure out what to pack. Although it’s not often thought of as a particularly enjoyable activity, packing doesn’t have to be stressful—a little research can go a long way. There’s a decent amount of traveling involved before you set out to hike Mount Kilimanjaro, and it’s best to separate your travel clothes from your hiking clothes. This guarantees comfortable traveling, and you can leave your travel luggage behind at a hotel or your guide’s office. A day pack will allow you to keep essentials on you at all times, while a larger duffel bag will contain the rest of your items (and will be carried by a porter). Pay attention to how much you pack, as there are weight restrictions on duffel bags. You’ll also need a cold weather sleeping bag, a headlamp (don’t forget extra batteries) for moving around in the dark, hiking poles to help with stability, and waterproof hiking boots with good ankle support. Make sure to break in the boots before the journey by wearing them around the house with thick socks. There’s nothing worse than trying to break in a new pair of boots on your trek up the mountain! The number one thing to keep in mind is “layers.” Several thin layers are the way to go—you’ll be prepared for any weather the mountain throws your way. Warm top and bottom base layers are also recommended. When buying clothes, avoid cotton, which will keep you wet and cold. Instead, seek out moisture-wicking fabrics. Also pack waterproof pants and a jacket, convertible hiking pants for the varying climates, a fleece, warm hat, sunglasses or a sun-shielding hat, down jacket, gloves, hiking socks, and a balaclava. Be mindful of the time that’ll be spent at camp—a pair of comfortable shoes to wear around the site will give your feet a break from the heavy duty hiking boots. Aside from clothing and gear, other things you’ll want to take along include a water bottle and/or reservoir, camera, first aid kit, sunscreen, lip balm with SPF, and toiletries, such as deodorant and wet wipes. If you get particularly affected by cold temperatures, consider bringing hand and feet warmers. And for those who have trouble sleeping, ear plugs and an eye mask can be useful. Even if you aren’t someone who usually journals, this life-changing experience is so awe-inspiring that you’ll be glad you brought a pen and paper along. Lastly, include snacks to keep your energy up in-between the provided meals. Above all, the most important thing to take along with you on this once-in-a-lifetime adventure is self-confidence and perseverance. 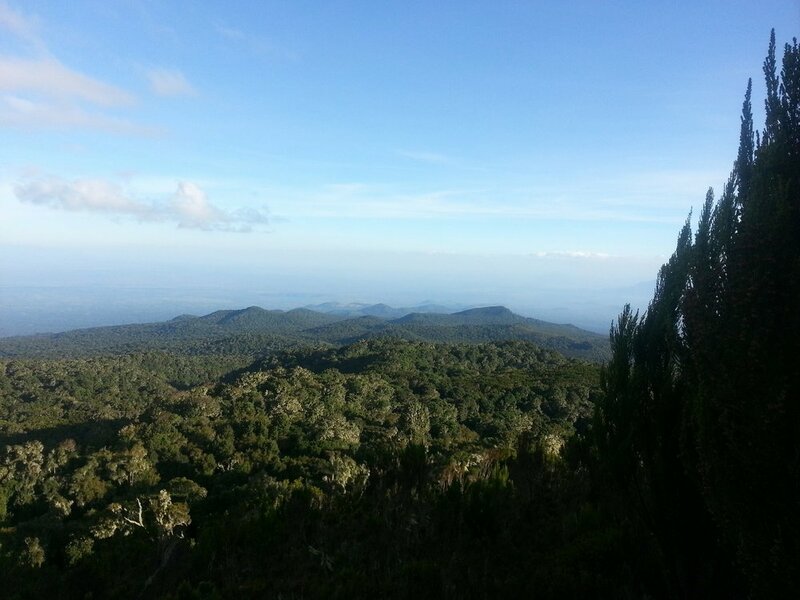 By the time you reach Uhuru Peak, you’ll be amazed at your mental and physical strength. Good luck as you prepare to embark on this unforgettable, truly rewarding experience! Climb Mount Kilimanjaro, hiking the popular Marangu route to reach the summit, Uhuru Peak—a once in a lifetime experience for the adventurous at heart. When you think of idyllic beach destinations, if you’re like most “Africa” probably isn’t the first thing to come to mind. But in recent years Zanzibar has been heralded as the ‘new Caribbean’, and with pristine white sand beaches stretching into the turquoise Indian Ocean, it is easy to see why it’s climbing to the top of the honeymoon goers lists. Located in East Africa, Tanzania is one of the best places for game drives and THE scene for the Great Wildebeest Migration where almost two million mostly wildebeest, zebra, and antelope move through the Serengeti in search of water and food. One of the many advantages of choosing Tanzania for your safari is access to the biggest terrestrial conservation area in Africa and perhaps even in the world. Tanzania is by far one of the best places to travel to in Africa, and for good reasons too! The country is bursting with a rich variety of culture, wildlife, unbelievable destinations, and activities that are sure to leave you with some lasting memories. Tanzania is a place to experience at least once in your life, so much so that we found it rather impossible to fit everything in a top 10 list! To Abdul, Kilimanjaro is more than a picturesque backdrop to his village; it is his whole life. This mountain is his job and his livelihood, as well as that of his family and friends in his village. But even more than that, Kilimanjaro is Adbul’s home, and he has a profound love and appreciation for it. Whether you decide to visit Africa on a Mobile Camping Safari, a Tented Camping Safari, or a Luxury Safari - you are in for an incredible experience coming face-to-face with some of Africa's most beautiful wildlife populations and meet locals who will forever be your friend. For many people, an African safari seems like the ultimate bucket list activity. From the exhilarating feeling of getting up close and personal with the Big Five (lion, leopard, rhinoceros, elephant, and buffalo) to the endless beauty of sprawling plains and and glistening waterways, there’s nothing quite like it. With so many countries and countless parks to choose from, it can be a challenge finding the right safari for you. While there’s no such thing as a bad safari, what kind of trip you’re looking for in terms of price, accommodation, and adventure level can determine the ideal destination. Whether you long for the exclusivity of a Zambia safari or the wow-factor of a Tanzania safari, keep reading for the best places to go on safari! 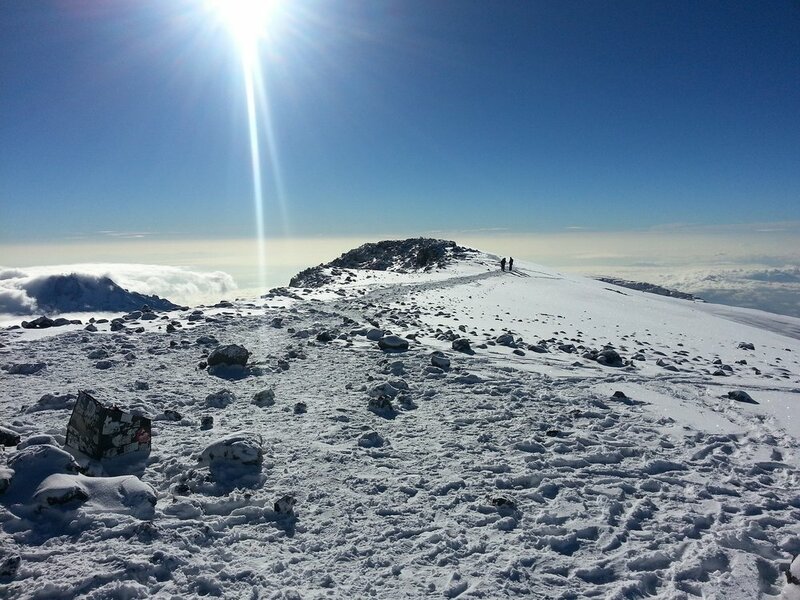 How much to tip Guides & Porters on Kilimanjaro? Tipping can be one of the most confusing parts of traveling. With each country being different, how do you know how much to tip? Here we give you a detailed breakdown on how much you should expect to tip each member of your Kilimanjaro Climbing Crew, including the guide, assistant guide, chef, and porters. Climbing Kilimanjaro was the highlight of my experience visiting Eastern Africa. I successfully reached the summit of Kilimanjaro, and learned many important lessons along the way. Here are 10 things I wish I had known before climbing Kilimanjaro! Why Africa should be on your Bucketlist. Only a handful of places in the world hold a special place in my heart, and Botswana has certainly become one of them. The adventure started in Chobe National Park, which is situated at the northern portion of Botswana, and continued onwards to the Savuti and Moremi National Parks, on the outskirts of the Okavango Delta. Mount Kilimanjaro is one of the most iconic mountains in the world. Standing at 19,341 feet, it’s Africa’s highest peak and one of the Seven Summits. Conquering the mountain is something countless people dream about, and while the climb is both physically and mentally exhausting, anyone can achieve this feat with hard work, commitment, and determination. To accomplish what’s sure to be one of the most fulfilling experiences of your life, preparation is key. Keep reading to find out what to pack and how to prepare for your journey to Mount Kilimanjaro. We all know that where you stay on your travels can make or break a trip. Booking unique accommodations is a great way to make your experience memorable, giving you lots of amazing photo ops and stories to tell. We’ve gathered 10 of the most unusual spots to live while abroad, to inspire you to plan your next adventure!